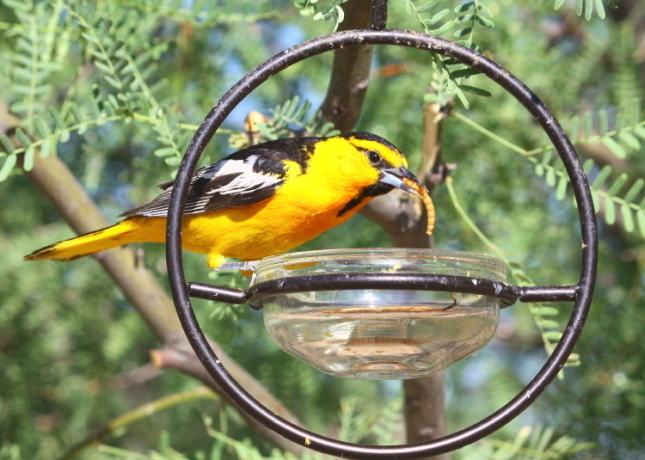 It's Oriole Season In Tucson! 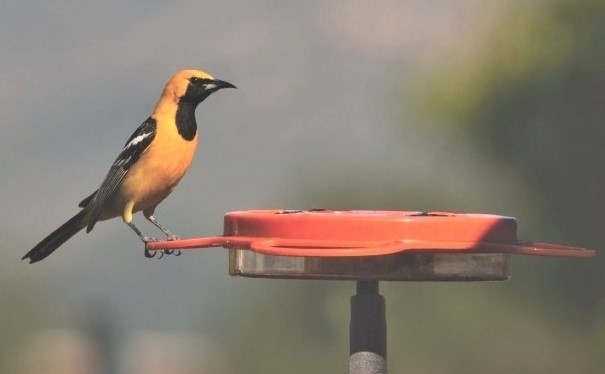 Timing is everything when attracting orioles and February and early March is the time to place your oriole nectar feeder out for the territory-seeking males to find. 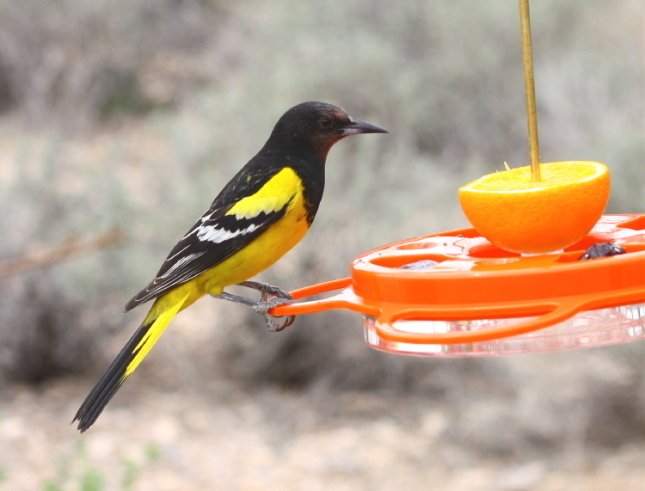 In the Tucson area, the most common species are the hooded and bullocks oriole. In the higher elevation areas of the city, the scott's oriole can also be attracted. Orioles will leave the area for winter in September. Oriole nectar feeders are bright orange, mimicking the coloration of fruits they desire such as oranges and papaya. Orioles will readily drink the 4 to 1 water-to-sugar nectar formula you make for the hummingbirds. They will also drink a more dilute mix of 6 to 1. Feel free to use either one. Proper placement of your oriole nectar feeder is can be important in luring these birds into your yard. Remember, the birds have to see your offering when flying overhead so don't hide it under a tree or awning. Place it in the open, near your bird bath. Moving water is effective at luring the orioles as well. Our Wild Birds Unlimited brand oriole feeder is a great option because it allows you to offer your birds nectar, jelly and oranges at the same time. It features a built-in ant moat to keep ants away from the nectar. Nectar guard tips are also included to prevent bees and other flying insects from accessing the nectar. Offer as many of their favorite foods as you can to keep them visiting your yard. To entice them even more, consider offering live meal worms too! More about meal worms here.